#1 of series for “A Time to Mend” fabric collection – Petals Fair is about fabric designing, quilting, Christian faith, family and other musings!! I am so delighted to post this collection in it’s colors! I plan to post 3 or 4 pieces in the collection of 23 prints at a time for the next few posts – take a look – maybe choose ‘follow’ for this blog – you can see posts as they come up!! Previous Previous post: Love these Grandchildren!! 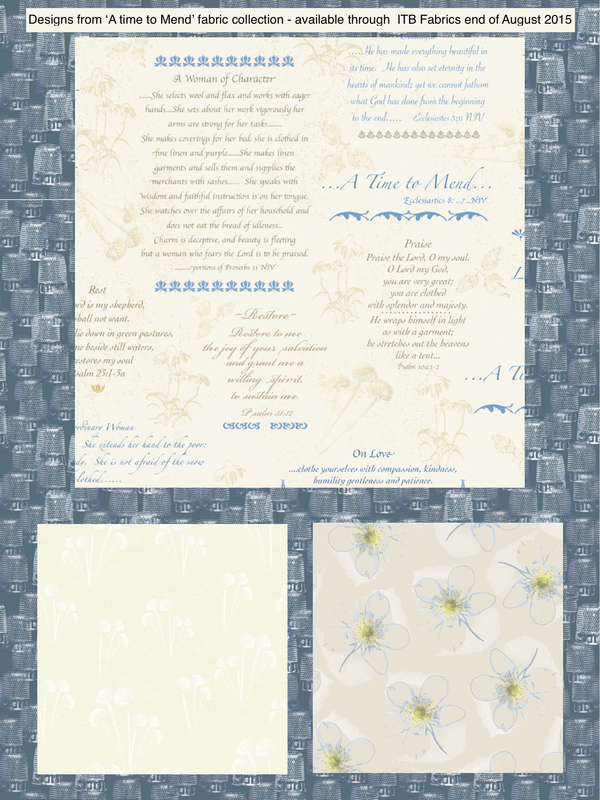 Next Next post: #2 set from ‘A Time to Mend’ Collection – Coming Late August! !